For those of you who are into #pinhole photography and not #3Dprinting, the acronyms PETG and ABS may be less familiar. ABS is Acrylonitrile Butadiene Styrene and can be used between −20 and 80 °C (−4 and 176 °F), which makes it a great material for cameras. From a 3D printing standpoint, it is somewhat difficult to work with. 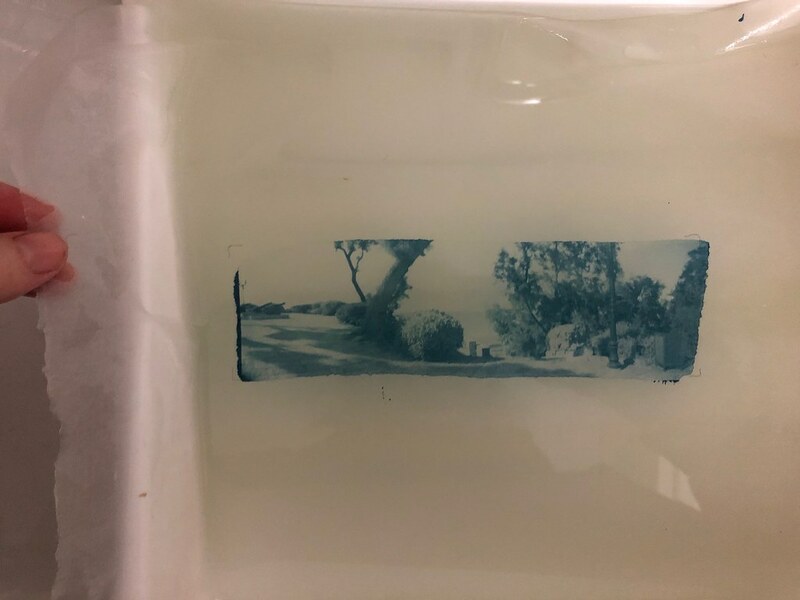 Print at too low temperatures and the camera will crack between layers during printing due to insufficient layer bonding. Higher temperatures are necessary. The other difficulty is that ABS shrinks as it cools. A heated bed is required, and the first layer needs to be squashed down on the bed. Even so, the cameras tend to warp up on the ends during printing, or worse, curl up off the bed completely. I use hairspray on glass, which has given me the most consistent results. I still find myself discarding one out of every 10 cameras because of too much curl. When printed correctly, ABS results in a tough, light camera that can stand considerable abuse. I did try PLA (PolyLactic Acid) early on – people like it because it’s biodegradable and doesn’t require a heated bed. However, it has a low glass transition point (the point at which plastic changes from stiff to deformable) – and a PLA camera can soften and deform on a hot car dash. PETG (PolyEthylene Terephthalate Glycol) is another thermoplastic polymer. It’s the same stuff water bottles are made of. PETG filament used to be quite expensive but has now come down in price comparable to ABS. PETG is marvelous in many ways – it doesn’t shrink and curl off the bed. It prints at about the same temperatures as ABS, but the bed doesn’t need to be as hot. The layers stick really well to each other and it is slightly more flexible (and heavier) than ABS. I can’t print detail work on the bed as small bits tend to latch onto the hottest thing – which is the hot end on the next pass over, making a mess. So I’ve had to remove nearly all the lettering on the top and bottom of the cameras. However, a side benefit is a glassy smooth finish which I couldn’t get on ABS because of the hairspray. PETG has a lower glass transition temperature than ABS, but more than PLA. PETG tends to be stringy, so I’ve had to tinker with the printer settings to get rid of it and fine-tune my extrusion lengths. Also, not all black PETG is opaque enough to use in cameras. I’m very pleased with PETG now and am printing almost exclusively with it. Both ABS and PETG are great materials when printed properly and I stand behind my cameras, whichever material they are printed with. Leaving cameras on a hot dash may be a great test for the plastic but is never a good idea, either for the camera or the film inside. I keep my cameras in a bag when not in use. When I leave a camera out for a day’s sun track, I wrap it in a sheet of white paper to keep the camera and film cool(er).